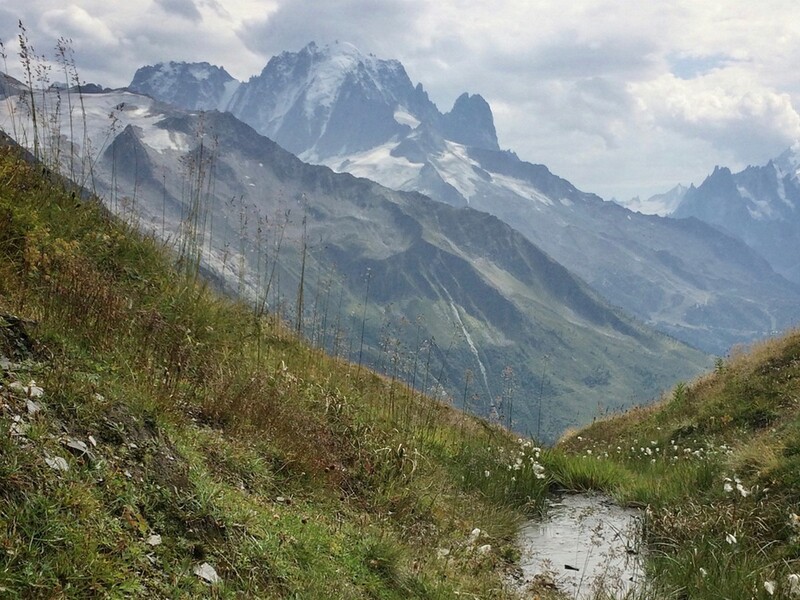 Hiking to the Col de Balme is a Chamonix Classic. This hike starts at elevation as you let the lifts whisk you up to the Swiss border, at the very top of the valley. Begin by walking along a wide and easy track, then as you hike through high flower meadows, you’ll be accompanied by cows gently clonking their bells. 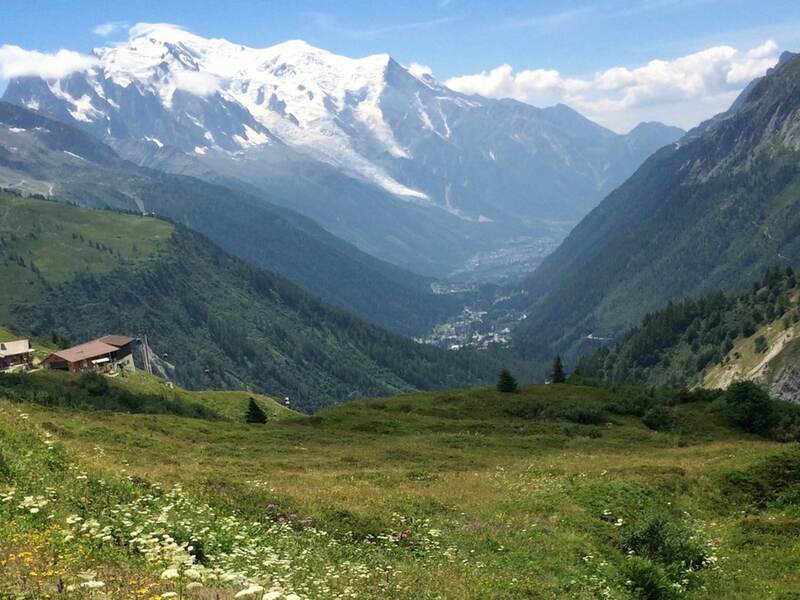 You’ll have iconic views of the entire Chamonix valley and Mont Blanc at all times. From Chamonix, take the bus to Le Tour. If you don’t already have your lift pass, buy a return ticket from here to the top lift station (Les Autannes). Yes, at Charamillon & Le Tour lift stations. From the top of Les Autannes chairlift, head left and hike along a wide track, clearly signed to the Col de Balme, for around 20 minutes. 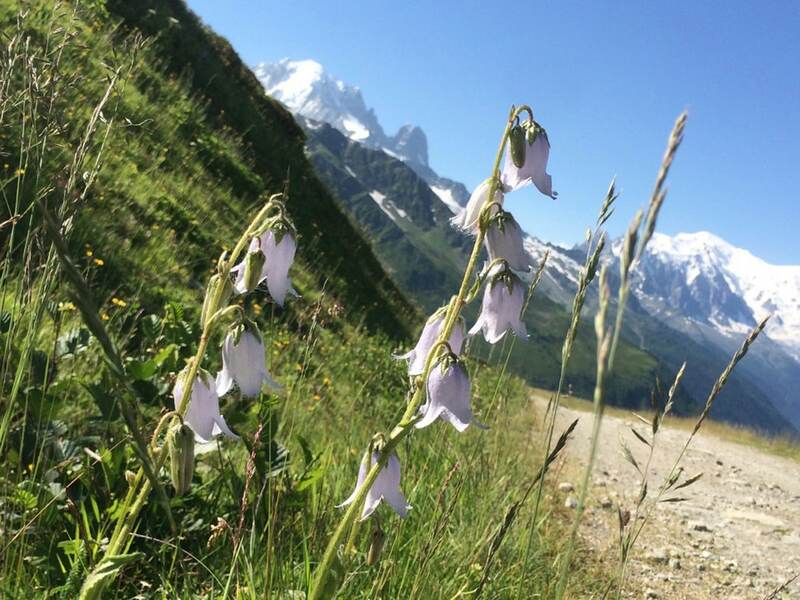 This track follows the gently sloping flanks of the mountain, showcasing the astonishing view of Mont Blanc straight down the valley. 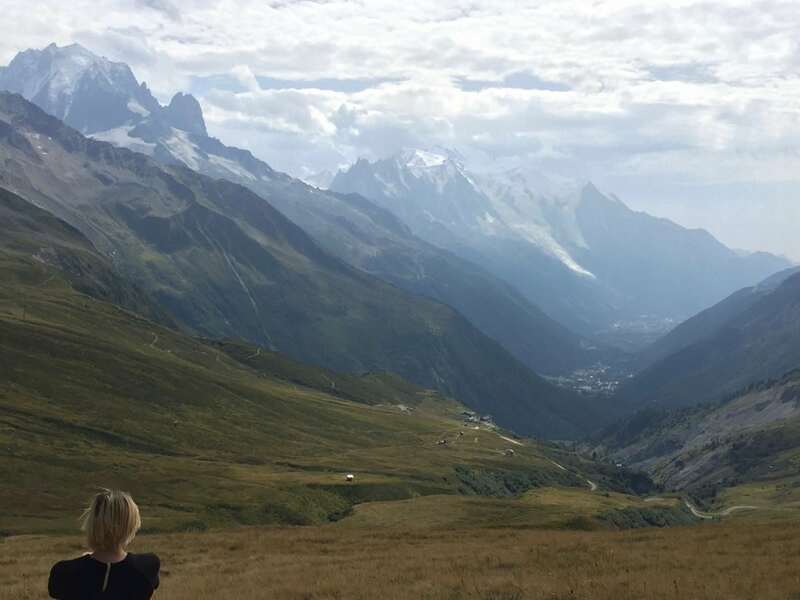 From the valley floor, it’s hard to see the size of Mont Blanc but here the added distance really brings home its colossal scale and majesty. In early summer this area is a full of flowers and the blooms continue well into August. It’s particularly notable for a profusion of wild orchids, and in autumn there are late blooming gentians to be seen. 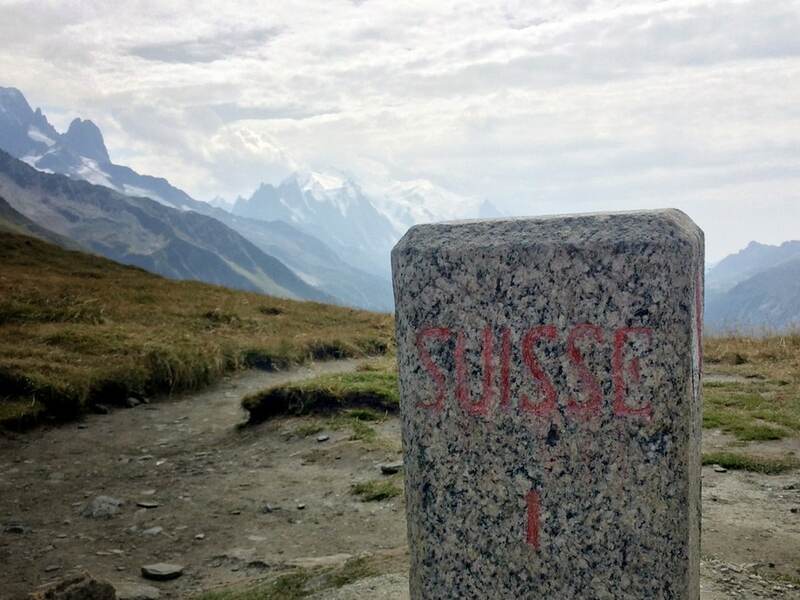 Near the refuge you’ll see the stone on the border, with the Swiss and French sides marked – a great place for photos. The views from here are exhilarating – the col generally catches any breeze that is in the air and magnifies it, so it’s wonderful on a hot day. In early summer there can often still be snow patches up here which are fun for children to play in. From here, you can return the way you came back to the lift you came up on. However, we prefer to continue, and go up behind the hut and continue in approximately the same direction as before, on a smooth and easy path. After about 20 minutes, descend to your left, following signs to Charamillon and heading towards Mont Blanc. The open meadow gives spectacular views in front of you. 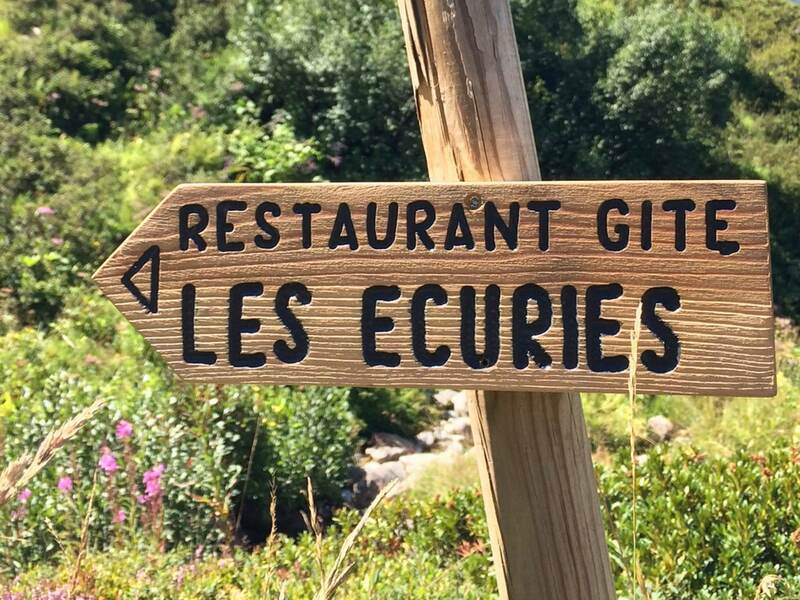 Whilst on the wide, easy track (it’s actually a ski piste), look out for the sign for Les Ecuries de Charamillon if you would like to have lunch or drinks at this lovely, friendly mountain refuge. Otherwise, head back to the Charamillon midstation and then down on the lift to Le Tour – you can catch a bus here to return to Chamonix. 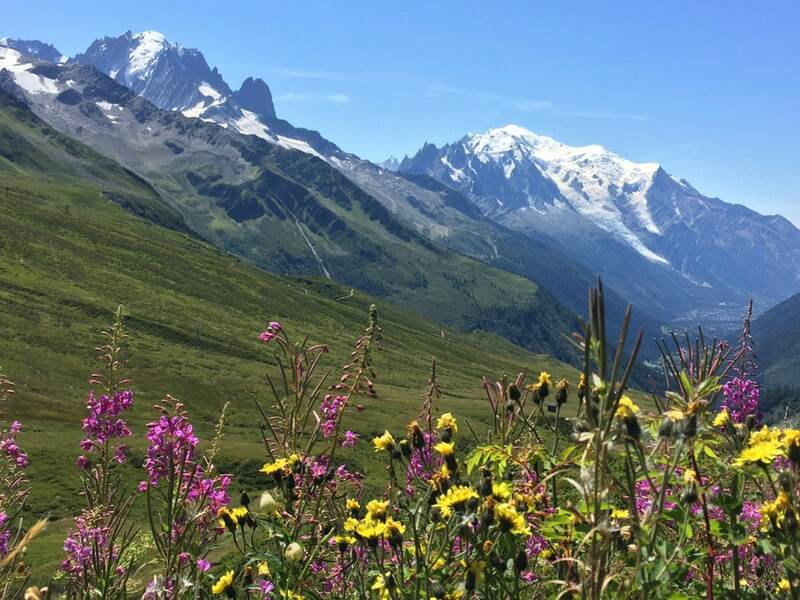 The hike to the Col de Balme is ideal for families and those of limited mobility, though it is not suitable for pushchairs or wheelchairs . Baby carriers can be hired at Snell Sports in Chamonix. 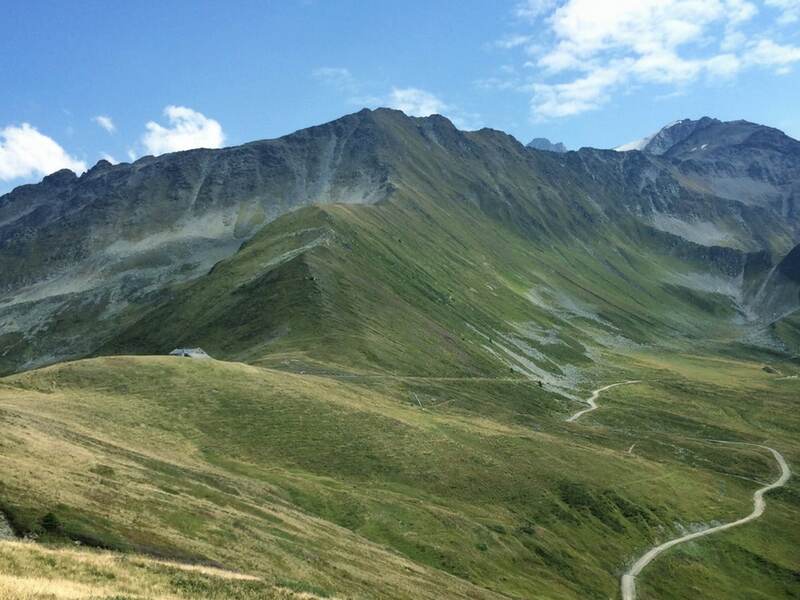 Many variations of the hike to the Col de Balme are possible. 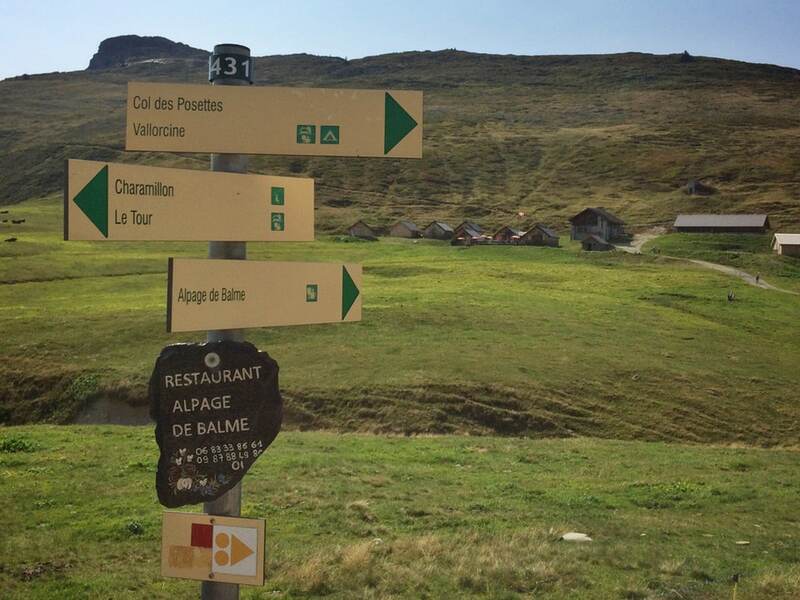 From the “Refuge du Col de Balme”, you can see the huts of the “Chalet Refuge La Balme” about 1.5km away on the right and this is a nice easy place to walk to if you would like to extend the route a little. You can also walk up to the Aiguillette des Possettes from here (2-3 hour round trip). Choose a clear day as this is one to absolutely avoid if there may be bad visibility. It’s very exposed to the weather and the wide openness of Le Tour can be disorientating in thick cloud. Near the base of Le Tour is Le Passon, another small and friendly restaurant. Surprisingly, dogs are allowed on the (open chair) Autannes chairlift, at the operator’s discretion and entirely at your own risk. Obviously the smaller they are the easier, and it is recommended to always use a harness. Do be very cautious as the fall could easily be fatal to a dog.